Add elegance and variety to your gathering with custom grazing table creations from The Babylon Cheese Cellar. 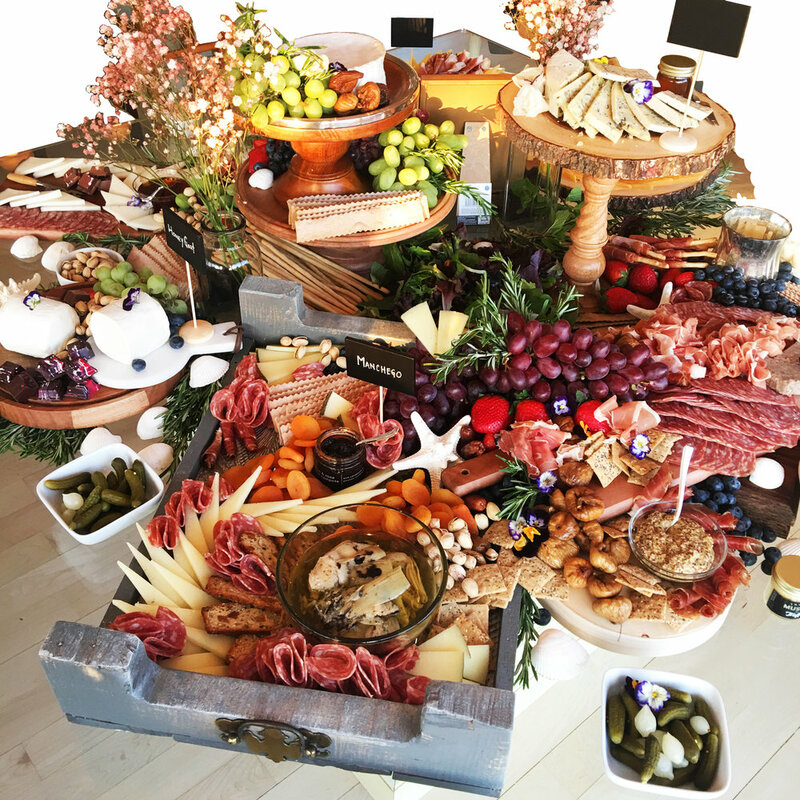 Our team of talented Platter Artists will travel to your venue and build a plentiful masterpiece –unique to you and your event! Arrange for our coordinators to arrive roughly 1-3 hours (subject to size) before your event begins. You can continue getting ready while we create your masterpiece! We will provide all accessories, boards, risers, cheese domes etc. The only item we do not supply is the surface! Tables must be provided in a cool area, preferably located away from direct sunlight (indoors with air conditioning is ideal). All grazing table creations are a mix of quality nuts, chocolate, meat, fruit, dips, cheeses, olives, and can vary based on what is in season!